Momentum is a friend to every leader who is consumed with the cause of Christ and His Church. Conversely, a lack of momentum is the catalyst of great frustration and duress, and often produces striving or disillusionment – neither of which will ever lead to momentum. It is at times like these that the frustration we feel over lack of momentum is only exacerbated by acquaintances or peers who make it all look so easy as they ride on the wings of the momentum we so desperately crave. Momentum has an ENGINE that is powered by a healthy soul. Every church has a soul and in the same way as a strong ‘core’ is essential to physical fitness, a healthy soul (or core) is critical in igniting momentum within the life of any church. Typical symptoms of an unhealthy ‘soul’ are indifference, ambivalence, politicking and negativity; which eat away at the health of a church like terminal cancers. I will always try and encourage church leaders not to focus as much on the GROWTH of the church as you do on the HEALTH of the church – because healthy things grow. A healthy church “prospers and is in good health, in the same way as its soul prospers”. (3 John 2.) When the soul of a church is healthy, the church will be unified and in turn, unity ignites momentum. Like a magnet, momentum will attract and pull even greater momentum towards itself. If it came with a warning label, momentum would caution of the potential discomfort and disruption it is likely to bring; but remarkably, people are drawn toward momentum. They may have to line up, sit on the floor, or wait for hours, but they are glad to be part of something that is “happening”. Things that would normally be unacceptable to people, suddenly become part and parcel of the ride known as momentum. 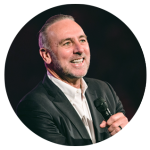 Over many years of Hillsong Conferences, we have enjoyed the blessing of momentum and seen people endure challenging crowd dynamics. Yet, through the challenges it is humbling and exciting that they still are quick to line up for more. The only time momentum stalled, was when we tried to play it safe! A wise leader knows the value of momentum and enjoys the blessing it brings, recognizing its ability to attract greater momentum; whilst the “safe” leader becomes fearful, and will attempt to cater to people’s comfort, rather than capitalize on their new-found commitment to adaptability! Momentum has a RHYTHM, and a wise leader recognizes the way it beats in time and gets in sync – using it to his or her advantage. Every calendar has seasons, and 30 years of experience in the ebb and flow of momentum has taught me when and how to counter many of these challenges, whilst believing to ride on the back of momentum. We are very deliberate as a church, when it comes to the vulnerable weekends; recognising that each year follows a similar rhythm and rather than just “go with it”, we have managed to turn many of our most challenging weekends into absolute highlights in the church calendar! There are only 52 weeks each year and every one of them is too important to be ruled by the vagaries of the seasons. So, instead we must pilot momentum through the ebbs and flows – enabling it to roll on like an avalanche, encompassing all before it and refusing to allow it to be dictated to by an adverse season or a contrary environment. Momentum ELECTRIFIES any atmosphere and a wise leader knows the importance of creating an environment that is friendly to momentum’s cause. Funnily enough, it is often NOT the aesthetically perfect, architecturally designed sanctuary where momentum flourishes. It can be an old theatre or a disused barn, a small chapel or in the carpark volunteer meeting. Certain things – such as empty seats, poor sound, stark colours, or natural light, do not easily lend themselves to a momentum- friendly atmosphere. Be aware of the atmosphere! In Sydney, our City Campus has met in a converted warehouse for many years. The venue has countless obvious weaknesses, but with the right perspective and vision, these weaknesses have also proven to be it’s greatest strengths. The warehouse is too small, has limited parking, poor access and other challenges, but all those thing have somehow worked toward creating an environment where the services are electric, filled to capacity with life and joy and despite its limitations, we have enjoyed many years of sustained momentum. Go figure!! Some leaders are oblivious to the things that are working against momentum. It may not be a spiritual problem you are facing! It could be something as practical as the aesthetics of the room, the length of your services, or (dare i say it) the monotony of your messages. As accountable leaders, we must ask ourselves the hard questions about the potential momentum inhibitors and the things that are limiting our church… Starting with US. A wise leader recognizes that momentum is less about their talent and efforts, than it is evidence of God’s great grace. Whilst nothing substantial is established or sustained without a commitment to hard work, it is obvious that not everyone who works hard enjoys the fruit of momentum. The encouraging news however, is that grace is not the exclusive property of a few good leaders; it is freely available to us all. The only question to ask ourselves is whether we are living in the grace God has given us, or stressing and striving in our own strength, attempting to “make” something happen. The New Testament words for ‘gift’ and ‘grace’ are interchangeable, and momentum will never flow if you are trying to function outside of the grace or the gifts that God has given you. That, in fact, is the ONLY place sustained momentum will flow – when we are living in our own God-given ‘grace zone’. In other words – BE YOURSELF – and watch what God can do! “It’s just a season”, I heard someone say, referring to the momentum we have enjoyed across the globe with Hillsong worship. But it’s a season that has brought to the forefront many gifted and anointed people, yet has proven time and again, to be greater than any one person’s talent. It is a season that has been extended through the emergence of younger generations with fresh waves of sounds and songs. Momentum has a lifespan and left to itself it WILL eventually subside and fade away. The wise leader trusts God for an intuitive ability to be one step ahead of the curve and make changes (or sometimes small adjustments) ahead of the peak, breathing fresh life and extending momentum’s tenure. It seems to me that momentum is the property of leaders, who model ‘an ever-changing consistency.’ That is an oxymoron but it’s true. Momentum comes to those who model consistency yet find within the parameters of consistency a constant innovation, fresh ideas and timely change. The mystery of momentum is unlocked by leaders possessing the capacity to discern the constants from the changeable, and make timely adjustments that produce fresh life. The book of Proverbs refers to both wisdom and folly in the feminine, calling them both SHE! Two starkly contrasting ladies. Just as Lady Wisdom is attractive to momentum; the deceptive charms of Madam Folly brings it to a grinding halt. I have heard it said that “you are just one foolish decision away from lost momentum” and depending on the gravity of the decision, that could well be true. My encouragement to every church leader is to constantly pray for discernment, stay teachable and lead with the input of others whose counsel brings godly wisdom… We need each other! Momentum is not always easy to predict. It can elude those you would most expect to attract it and break out where you would least expect it. There is no ONE right way of doing things and trying to reduce momentum to a formula, is a recipe for frustration. When my wife was born again as a 15 year old high school student, she was invited to an Assemblies of God church in downtown Auckland, New Zealand. It was a church that was enjoying unprecedented momentum. The Pastor was a teacher who was almost monotone in his delivery and the music was beautiful, but conservative. However, the presence of God in those services was tangible and the altar was constantly filled as people were being saved in great numbers. New Zealand had it’s own ‘Jesus Revolution’ and several decades on, many fine ministries and churches are the fruit of that movement. My counsel to those believing for momentum to strike, is remember that it is contagious by nature. So continue to ‘lean in’ to momentum and refuse to be threatened by the blessing that others may be enjoying. Go to conferences (that are not your own), rub shoulders with people, soak in the atmosphere, take notes in the lessons and be stretched by the example of others! The danger of momentum is the feeling of invincibility that accompanies it. Perhaps everything you are doing is turning to gold. Maybe everyone wants to be your friend, people want to know your secret and compliments are constantly coming your way. Delusions of grandeur can accompany momentum and it’s easy to fall into the trap of believing you are better than you really are. Stay humble. Continue to honour others and remain teachable. Don’t be to quick to become an ‘expert,’ because given enough time, the seasons of life will challenge many of your ideals. Sustained momentum is really only proven in the difficult times and the greatest proof of leadership comes with our capacity to maintain momentum through challenging times. 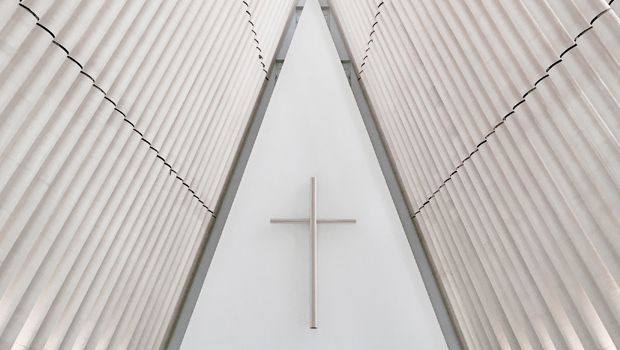 Younger pastors in particular can quickly become idealistic, with no shortage of opinion about what they are doing right and where everyone else is going wrong! Arrogance is never attractive and pride polarises you and shrinks your world. Humility, and a Kingdom perspective are crucial in sustaining momentum! Great opportunity and blessing is the fruit of progress and momentum brings with it, great reward. It is so easy to look at those who are further along the road than you and covet the blessing they enjoy, without any real appreciation for the price they have paid. Favour, opportunity, and influence, are the fruit of momentum and of course, “To whom much is given, much is required”. Good stewardship of momentum means using what we have to bless others and increase their world. According to The Message Bible, “The world of the generous gets larger and larger; but the world of the stingy gets smaller and smaller.” It is the responsibility of those who enjoy momentum and blessing, to be generous with what God has given them. 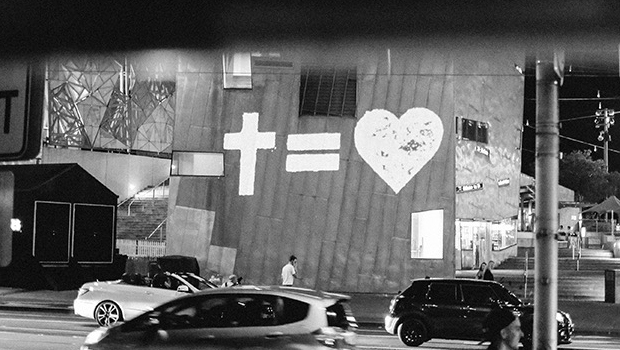 Hillsong Conference exists to “Champion the cause of local churches everywhere”. I pray you will consider attending this year, as we will be doing all we can to encourage you toward God-ordained, sustainable, Holy momentum!